We have wonderful news for all of you cloth diaper aficionados. This summer, Pompes Les Fesses, the designer baby product brand best known for their line of felt foods for toddlers, (the felted avocado toast is a big hit in our house) will be debuting their line of cloth diapers. The bamboo/cashmere blend diapers will be hand-sewed with emu hair thread- a fiber known both for its softness and strength, filled with absorbent goose down and triple washed in the Aegean sea. To ensure a custom fit, parents-to-be will send in weekly ultrasounds so that the diaper artisans at Pompes Les Fesses can create a tailored look based on your growing fetus' projected hip, thigh, and backbone structure. Each diaper will receive both a sprinkling of holy water and your choice of a Tibetan prosperity or safety prayer. Additional prayers and blessings are available for $225 USD each. 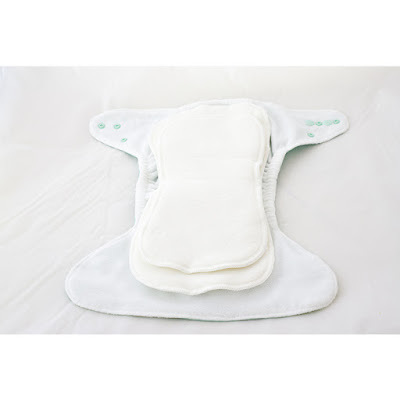 Pompes Les Fesses diapers are dry-clean only. Price: $750/per diaper or $5,600 for a pack of eight.